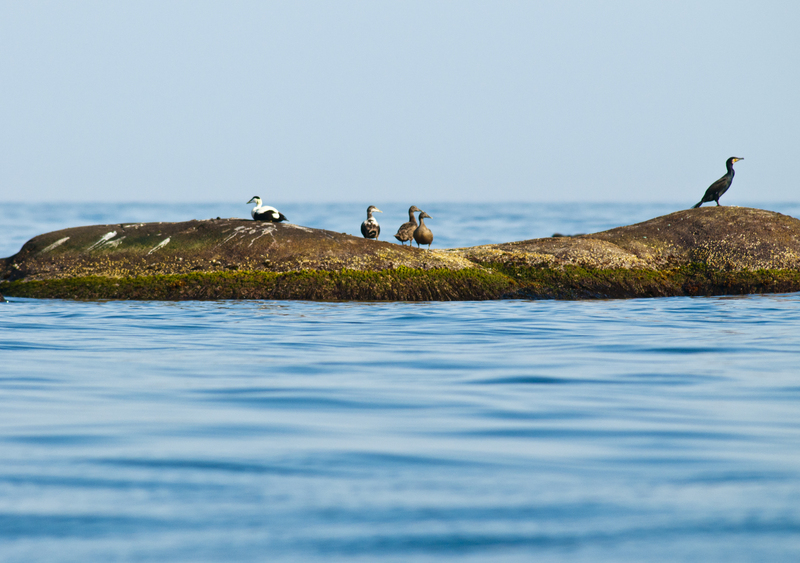 Eider ducks are the only common sea-duck species breeding in the archipelagos of Sørlandet. 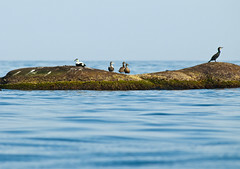 Cormorans breed in colonies on uyndisturbed islands. The Coastal Archipelago Park of the South Coast ("Sørlandet") of Norway covers an area of the Skagerak coast between Grenland in Telemark and Lindesnes in West Agder, including many hundreds of islands and skerries. The Sørland coast is one of the most important recreation areas of Norway and hosts a unique coastal ecosystem with special habitats and a rich biodiversity. Therefore tourism is regulated accordingly with special nature reserves and bird sanctuaries in place. Presently discussed are plans to develop a national park, and within Norway's plan to establish 26 marine protected areas (MPAs), "Transect Skagerak" is planned as a 692km2 MPA outside of Arendal and the islands Tromøy and Hisøy, reaching out from shallow to several hundred meter deep sea.